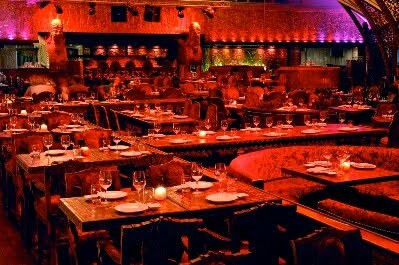 Last night I went to Gilgamesh in Camden for the launch of their Player's Lounge, open throughout Wimbledon. There was a fresh twist on their delicious signature dishes such as strawberries and cream wonton - rather surprisingly, they were gorgeous - and lots of tennis touches in the decor. Members of staff kitted out in whites served us (geddit?) summery cocktails whilst we watched the action on the big screens direct from SW19... Who needs Murray Mound when you've got Murray Mint cocktails? Experience Wimbledon with a difference at Gilgamesh this summer; for the duration of the Wimbledon season the critically acclaimed Pan-Asian restaurant will be opening an exclusive Player's Lounge. Transforming Gilgamesh into a mini-Wimbledon mecca with astro-turf throughout, guests will be offered the Murray Martini made with Murray Mint infused vodka and Strawberry and Cream Wontons while they watch the match in comfort from the screens provided.